I am working on my Grandfathers Auto-Biography, His name was Ivor B. Guest. 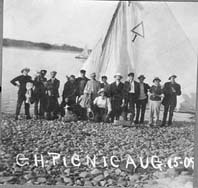 He stayed at a place called "Camp Happy" somewhere near Yarmouth on water as they had small motor boats and sail boats. I have some pictures of the Yarmouth Yacht club from August 15, 1909. I was wondering is that your club? 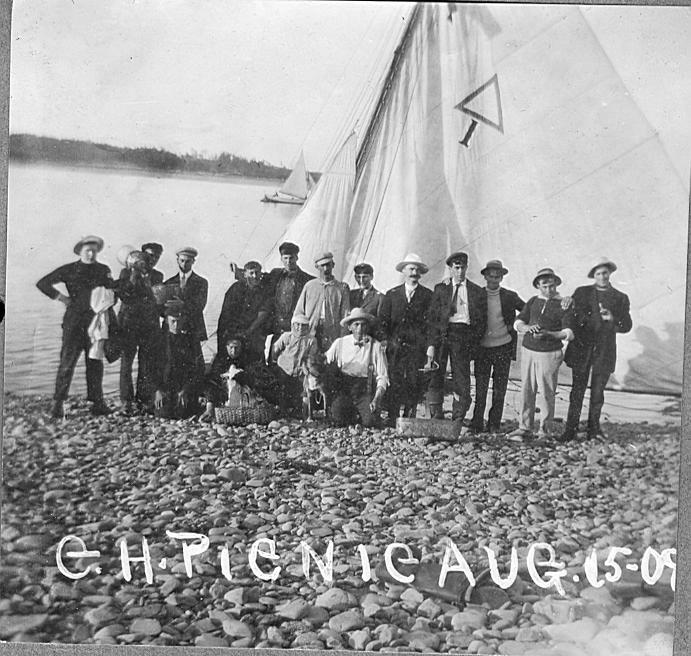 Do you know anything of the Camp Happy" from 1909? If so may I have some pointers in the right direction please. Any information would be so appreciated. I am sending you 3 images. Does the area look like it is around Yamouth? Comments: I hope I can make it to the island someday. Comments: just wanted to say i live in carleton and love it here. i also work in carleton at the y-camp. it is a great place to work with good friendly people. Comments: Awesome pics of Isle Madame, very scenic makes you appreciate the uniqueness of our island and its beauty. Comments: Happy to find this site. I love to visit my place of birth, even if it is most often via the web. This is a great network of information! Comments: I lived in Yarmouth NS all my life but I moved to Mississauga ONT 4 months ago. HI EVERYONE!!! Comments: This is great place to browse. Thanks for posting my pictures too! Comments: Planning a visit, maybe, and interested in knowing more. local contractors aere of particular interest to me. Comments: I m the litle sister of jean rené monge a friand of jimmy. this very sympatic in your country thank you for the good momment. Comments: i would be happy to get news from the area . i grew up in Arichat in the 1960's. Comments: I lived 17+ years on Pinkney's Point, still have lots of family that lives there. Fishing, or playing games with the neightbours I had a blast growing up! Comments: Such a wonderful site. We cannot wait to visit. Since my husband has a very limited knowledge of his family origins, this site gives my daughters a sense that there are other Surettes out there! Comments: Interested in the history of the Hurlbert (Hurlburt) family in Tusket. Comments: I liked the gallery of pictures. There was even a picture of my mom and Loren's home in Pembroke.....I lived there, in Pembroke for 9-8 years. I love it there. I miss the beach and everything it was so quiet and relaxing unlike the city. Comments: Hi again Godfrey, I visited your site back in March of 2005, it is a wonderful thing that you are doing and don't let any of the skeptics or paranoid people tell you otherwise.I was reading some of the comments and there are a few of them. My house is jpg im-0934, I'am the son Delta and Clarence (CRITCH) Landry. My Mom's hose is jpg 0941. I haven't showed it to her yet but i will. Comments: Thank you for putting up the pictures of the villages. I grew up in Deerfield/Braemar area. One day while playing around on the net I found this site, Low and Behold there was a picture of MY river. I grew up in the house just up from the pictures you have in the Braemar link. I was feeling a little home sick and that just brought me home. Comments: Absolutely Amazing !!! I can't believe that pic. Comments: I am in the process of making a website that features Yarmouth Bands from the past. If anyone out there has pictures and would like to send them to me along with a small description,band members etc. I would appreciate it. Comments: Even after more than 40 years "away" I still call Plymouth "HOME". Congradulations on this web page. Comments: My sister Annie married 1969 to Clarence H. Spraque. Both have passed away. They had one son James and he had been trying to found his father's relatives. I don't know Clarence's parents name, but they lived in the Yarmouth area. I WAS PLEASED TO SEE THAT THE INFO THAT WAS GIVEN TO YOU WAS ENTERED IN OR CHANGED TO BE CORRECT.. I STILL LIVE IN WINNIPEG AND HOPE TO VISIT YARMOUTH (HOME)IN THE SUMMER OFF 2006. Comments: hi, yall my family tree took me all the way back to noel surette. france.thank you. Comments: I am very interested in old pictures ofYarmouth bands(small description if possible). Please,if you have any,contact me. You can check out the new site below but remember it is a work in progress and there are only a few bands in it now. I hope that over the next few weeks it will grow as I receive more. Let's share these long forgotten photos with the rest of the world. Webmaster Comment: Thank you students at ednet. If you have any stories of your community you would like to add to the site just drop me a line. G.J.LeBlanc retired teacher webmaster@yarmouth.org. Comments: Just wanted to wish my lovely brother a happy 70th Birthday. George Walker lives in Glenwood after emigrating in 1974. We miss him so much and wish we could be with him on this special day. The best thing about his living in Canada is the wonderful holidays me and my large family have enjoyed in Nova Scotia. Comments: I was happy to visit the website of my family's homeland. 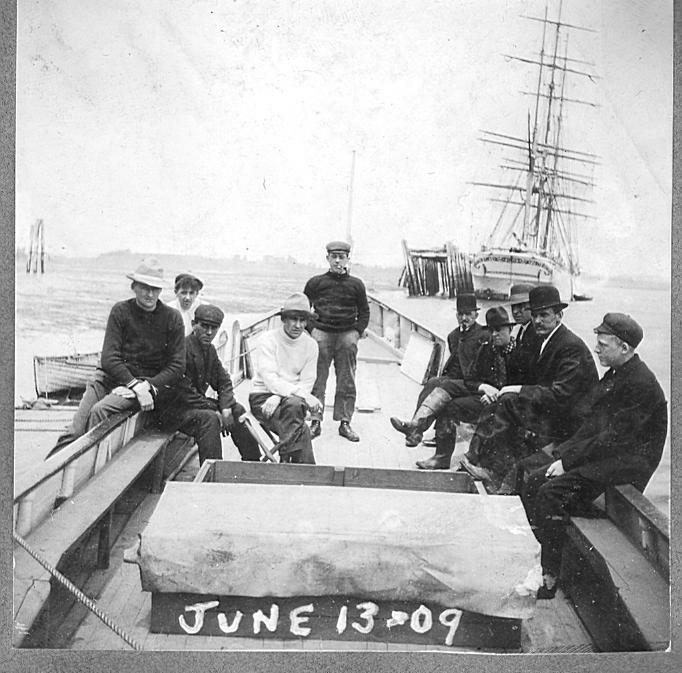 I am the son of Joseph Sylvester Surette, who was the son of Henry William Surette, aka Big Henry, of Sluice Point. 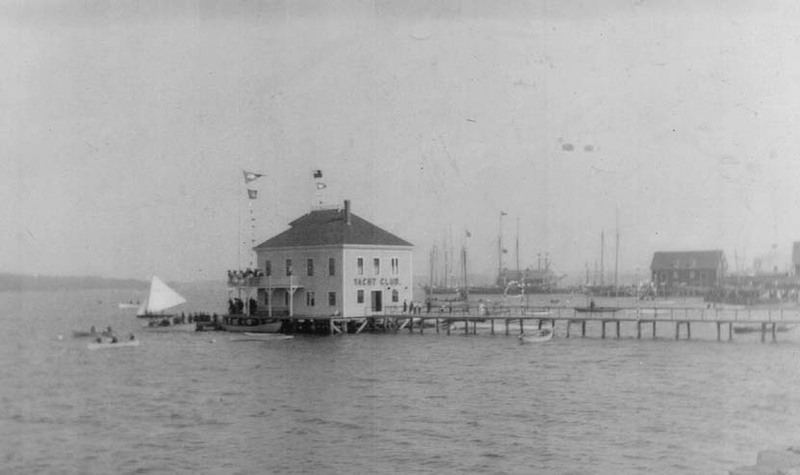 I also had an aunt and uncle who had a litle variety store just before the bridge going over to Morris Island. Their names were Sadie and Nary Surette of Surette's Island. I also had an aunt and uncle, Joseph and Bernadette Surette who lived on Sluise Point. I would be happy to have any friends or family members contact me via email. Comments: I RETURNE TO THIS SITE OFTEN HOPE TO VISIT HOME IN 2006 OR 2007 . IF NOT FOR FAMILY AND GRANDKIDS OUT HERE I WOULD Be back to finish my days as we say at home. Would you kindly post the following comment in your guest book? I am trying to help a lady from Australia locate any descendents of her brother, Herbert Edward Rymer. Herbert was born in London, England in 1912. He immigrated to Canada at the age of sixteen. He arrived in Halifax, NS on February 18, 1929 on the Regina, a White Star Dominion ship. Herbert sent a postcard to his mother after he arrived in Canada, and that was the last contact his family has had. His sister, Betty Lawson, is 94 years old, and would like to know about his life in Canada. Herbert's parents were Harry Duncan and Bessie Louise (Ruddell) Rymer. Herbert had seven brothers and sisters. If anyone has any information on Herbert Rymer, or his descendents, an e-mail would be greatly appreciated. Searching through our guest book I found the following entry. The place may have been purchased by someone new, I did not find a rymer in the local phone book. Thanks ever so much for the quick response, Godfrey. Since Herbert arrived in Halifax, I decided to start my search in NS. There is one on-line listing for Rymer in the NS Phone Directory, which is Edward. The address is 1 Placid Court, Yarmouth, NS. However, a gentleman from Newfoundland has that number now, but has a different address. With no luck in NS, I made telephone calls to Rymers in ON, and Western Provinces. These Rymers were not familiar with the name Herbert Edward Rymer, but were eager to help by searching their family trees when there was a possibility they may have been related to Herbert. After searching their family trees, they made return calls to me to verify there was no connection. One lot of Rymers I contacted came from Leedes, England, and the rest were of German and Ukraine descent, and none had relatives from the East Coast. Although my search was unsuccessful, I got to chat with a fine lot of people. I searched the on-line database for NS obituaries and found two Rymers listed. One was Michael Richard Rymer who died November 12, 2003, and Robin Edward Rymer who died January 23, 2006. I then searched for neighbors of Edward Rymer, and spoke with a lady at 2 Placid Court. Her name is Pat Comeau. Pat told me she lives next door to Eddie Rymer, but there were no lights on as we were talking. Michael Rymer was Eddie's dad, but he had passed away two or three years ago. Eddie and Pat's son are friends. She told me after Michael Rymer's first wife died, he remarried and they had the one child, Eddie. Eddie was eight years old when his mother died of breast cancer. Eddie is around 25 or 26 years of age. Eddie's father,Michael, and his first wife had daughters, only, and Pat figured they would all be in their forties. Pat told me Eddie's half sisters live in Carleton, but she did not know their married names. I decided to post the notice in your guest book in hopes that one of Eddie's daughters, or someone who knows of them would see it. Herbert's dad, Harry Duncan Rymer was killed during WW1 on November 4, 1917. The Rymer family home was bombed during WW2, and all photos of Herbert, and his postcard were destroyed. Herbert's mother died shortly after. Herbert's mother made several attempts to find her youngest child through the Salvation Army and other agencies, but without success. Hopefully, Herbert's sister, Betty Lawson, will find closure before she passes away. Could you give me a list of funeral homes in the Yarmouth area where the remains of Michael, and Robin Rymer may have rested? Their obituaries may provide the information we are looking for. Your input is greatly appreciated. If you have any other suggestions, please e-mail me. Comments: My Grandmother, Armina Campbell was born in Argyle NS 10/12/1870. My wife and I intend to visit the area this year. Comments: We are making another trip to Yarmouth the end of July for our 35th wedding anniversary. We love it there in your beautiful town and love all the people too!! We have been coming up since 1984 and have made well over 50 trips on the Scotia Prince and now we hope to make at least that many on board the Cat. We would love to receive any discount or gift coupons you may have. Can't wait till July to see everyone again. Love that Rodd Grand and Karen MacKay, and all the tour guides too. Comments: My name is Micael Rosén and is from Orebro in Sweden. and I meet a girl from Yarmouth, in London several years ago.Here name and adress was then. Here friends name was Hannah Thibedeau. Is there anyone who knews something about Coollen , or where I can search for here. Webmaster Comment: I will contact her as she teaches where I will be subbing tomorrow. Comments: I would like a Guide to Yarmouth, I plan to visit in September. Could you also recommend a hotel over looking the water to stay at. Also a Ferry schedule. Thank you very much for your cooperation. My father was born in Yarmouth and I understand we have been there for quite awhile; sometime shortly after the American revolution. I plan on coming up this summer for a few weeks to do some research. looking forward to meeting you. Comments: Spent many summers at my grandmothers house on the island and have fond memories of the people and the island. My fathers and uncles names are on the monument that stands outside the church. Both of them were WW2 veterans. Hopefully my wife and I will be up this summer for a long overdue vacation.